MICK DEWEY. (Seku Chief Instructor). INSTRUCTORS SPOTLIGHT. TOMMY McGRANE 4th Dan. (IRELAND). WHY TRADITIONAL SHOTOKAN? By John Cheetham. THE HISTORY OF SHOTOKAN.By Ian MacLaren. KARATE AND THE LAWS OF PHYSICS (PART TWO). ASANO SENSEI COURSE AND GRADING. Report By Dave Robinson. KUGB VS ALL STYLES & KUI Squad Visit Keele University. Welcome to the second issue of SKM and may I start by thanking all the Shotokan people who have given me full support with this new magazine - dedicated to SHOTOKAN KARATE-Do. The magazine has been a great success and the first issue has almost completely sold-out. Also thank you for the dozens of letters from Shotokan practitioners saying how much they enjoyed the content of the magazine. As I said in the editorial of the first edition we will feature stories, interviews, technical articles on and by the most experienced Shotokan instructors and competitors from all the many Shotokan associations, federations, org- anisations and small groups throughout the country and from abroad. Plus coverage of Shotokan events, training courses and tournaments etc. If for any reason I have been unable to contact your group, association or club, please write in to SKM and this will be remedied immediately. This magazine is for 'YOU', the Shotokan karateka who train hard in our chosen style regardless of which club, group or association you belong to. So, please feel free to write in to S.K.M. with any information about your club and your instructors, events, etc. however big or small the club may be. All material will be welcomed. 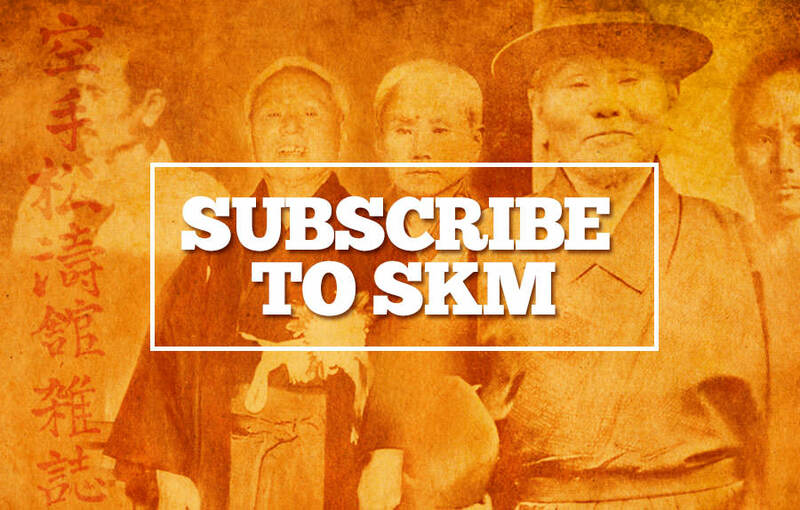 Many readers have asked for a 'Letters' page to be included in SKM. Well, your wish has been granted. 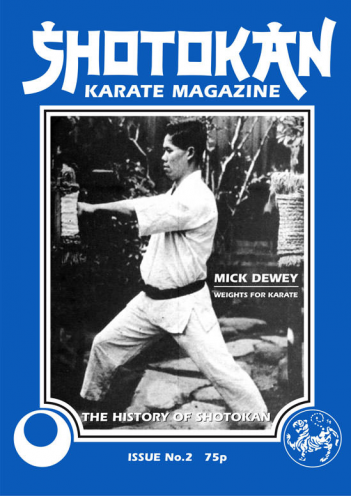 I'm sure you will all enjoy Ian MacClaren's great article on the History of Shotokan, which proves that our style is no modern invention. We have a very long pedigree.